The modern man must solve lots of problems and fulfill many obligations in his daily life cialis uk You can get quality, effective medications in our inter net store without a prescription. Now you can eat dirt on the road. 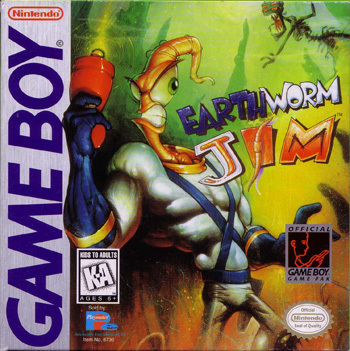 Earthworm Jim™, winner of Die-Hard Game Fan's Game of the Year, Game Player's Ultimate and Electronic Gaming Monthly's Genesis Game of the Year has wormed his way onto the Game Boy. 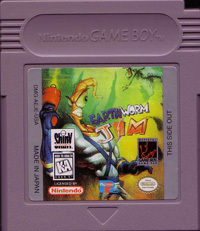 This is the tightest conversion from a 16-bit to a hand-held ever! Now the head swinging, blaze blastin' action is totally mobile. 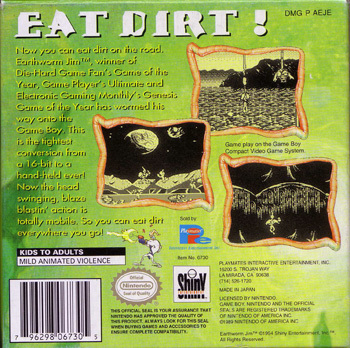 So you can eat dirt everywhere you go!